FIREBALL RUN's "Roadie" character OEM fender mount badges. 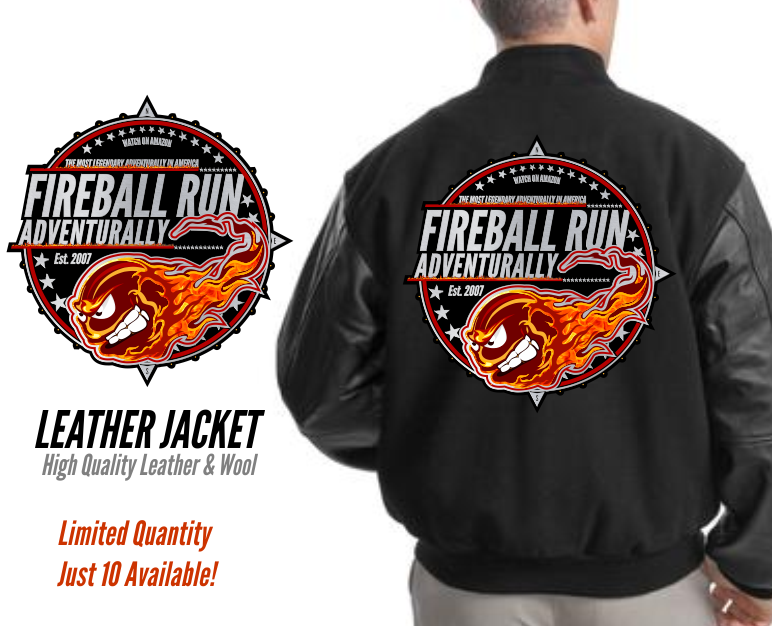 High quality and an oh so subtle way to display Fireball Run pride. Looks awesome on any ride, JJ has em' on his classic Rolls Royce! From Season 9, this is our latest Art Deco stylized poster. Inspired by the propaganda space race posters of the Cold War era, this original design created by JJ. Sanchez, is a great addition to any automotive poster art collection. Arrives packed in perfect condition within a rigid poster tube. Item available for optional autograph by the artist, please specify in order details. 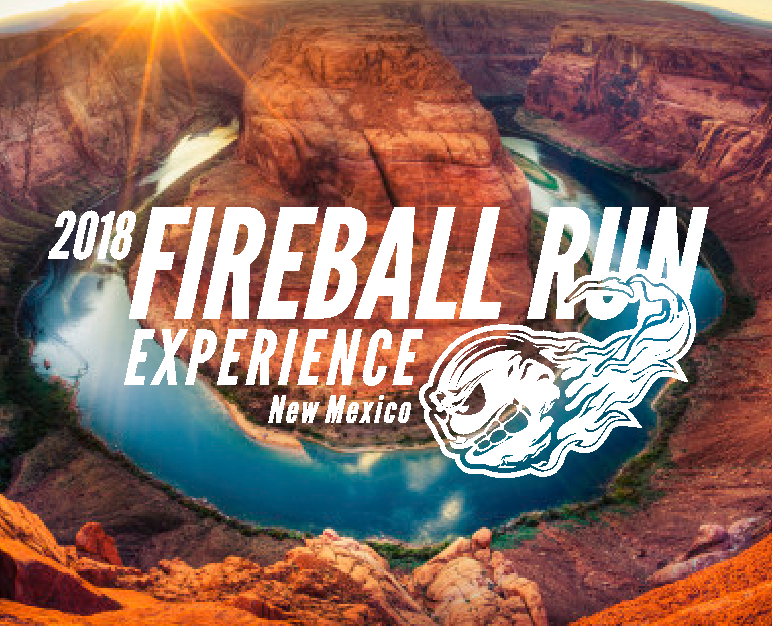 Limited edition teaser poster #2 from FIREBALL RUN Northern Exposure, this poster features the all women celebrity teams from season 6. Arrives packed in perfect condition within a rigid poster tube. 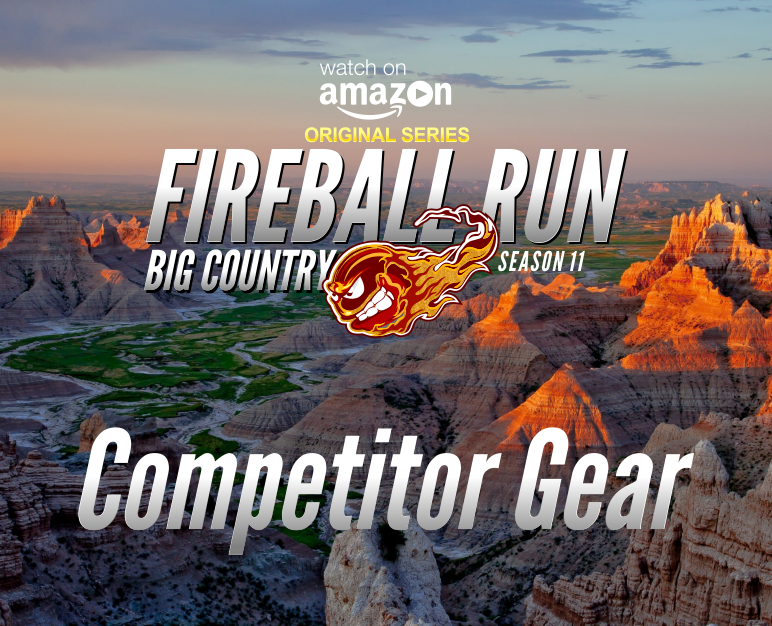 Season 11 contestant exclusive gear, apparel, and swag. Fine detailed patches commemorating the most epic adventurally in America. All sorts of adventurous apparel is all here. "Classic graphic shirts designed to celebrate adventure and the open road." Bad hair day? No problem. 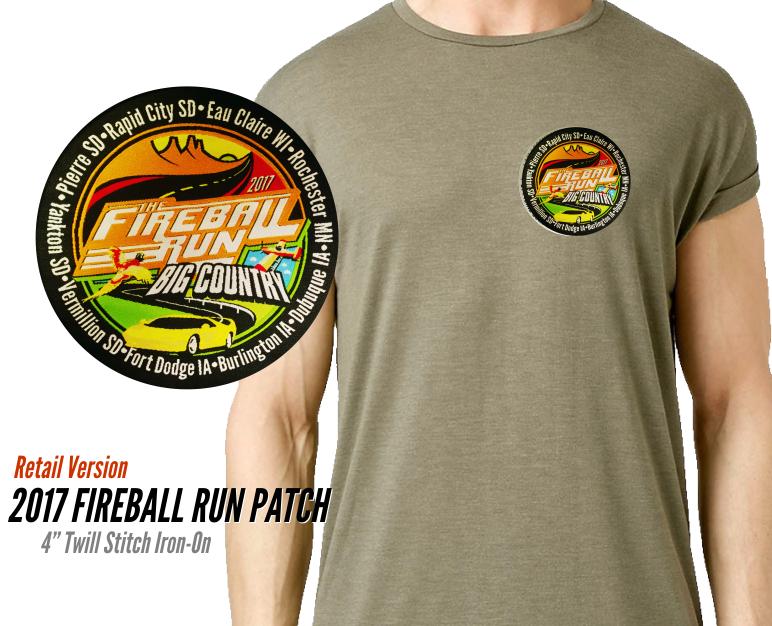 FIREBALL RUN has great gear to top off your attire and your head. Merchandise available to past participants only. All items are limited to stock available. Stuff we just got to get rid of. Items floating around the production offices dating as far back as 2007. Perfect for those think streaming is "hootenanny". 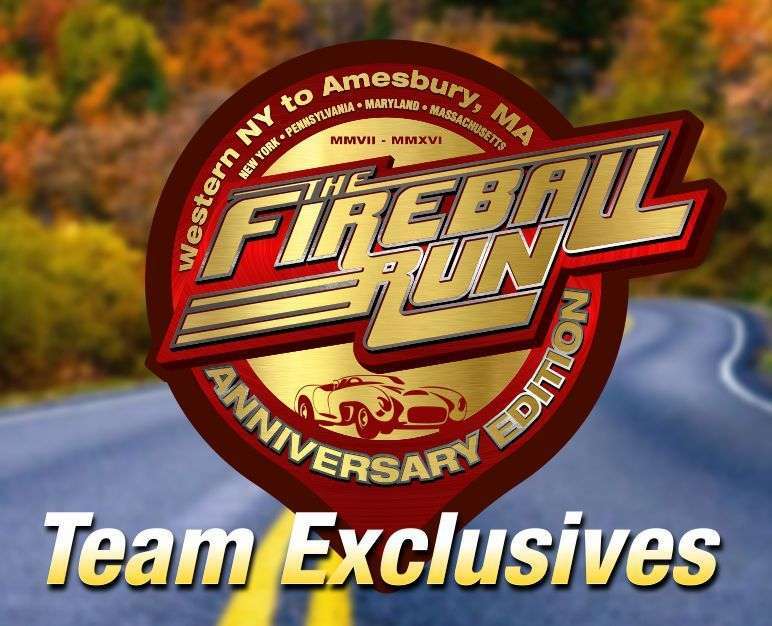 FIREBALL RUN is conveniently back on DVD. Here you'll find a few notable items from autographed posters to one-off and one of a kind collectibles. Available to 2016 participants only. Items are limited and must be ordered by a certain date.